Enjoy skiing, patio and Blues music at Tremblant! 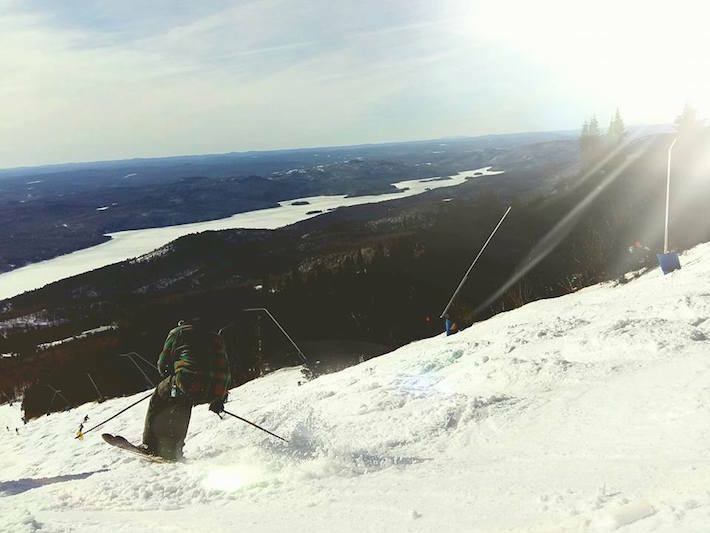 Tremblant’s last weekend of the season promises to be a busy one! 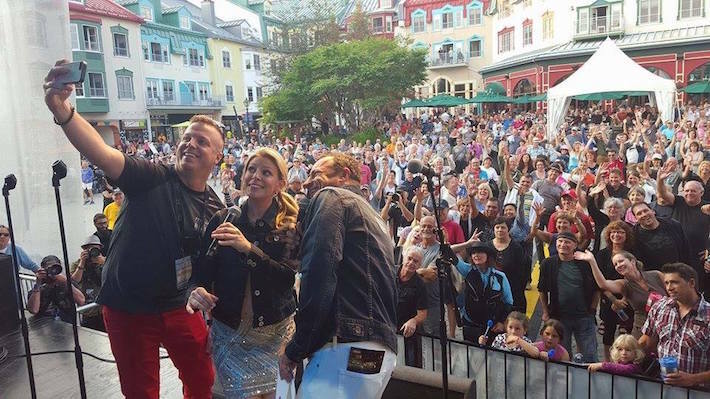 On April 9, in addition to awesome spring skiing, the Place Saint-Bernard will be buzzing with Blues music as Tremblant International Blues Festival’s co-hosts, Alain Cyr and Maxime Lalonde, and its spokesperson, Anne-Marie Withenshaw, unveil the complete artist lineup of this year’s festival. One more reason for shed the layers and chill at the foot of the slopes! The weekend of April 9 and 10 will be your last chance to hit the slopes for the season. Get a few more turns in and enjoy the soft corn snow that is so typical for this time of year. In the spring, ski conditions can change quickly over the course of a morning. Stay tuned and check our Snow Report regularly to enjoy the mountain to the fullest! When your ski day is done, it’s time to soak in the sun, enjoy après-ski, and end the season on a high note! MatB, a guest DJ, will spin tunes in the afternoon and Tova Stolow, who won last year’s Blues’araoke competition, will light up the stage. One thing is for certain: on Saturday, the entire pedestrian village will be singing and dancing! Say hello to the event cohosts and spokesperson. Who knows … you might even get a scoop or two! Restaurant patios will be open for Blues lovers on event day (weather permitting). A perfect occasion for the whole family to dance together! Toufou, Tremblant’s friendly mascot, will even stop by and join in the festivities at Place Saint-Bernard. Guaranteed fun for all! The Tremblant International Blues Festival takes place on July 8–17. Until then, like the event’s official Facebook page and keep an eye of the website to stay on top of it all!